A renowned architect and Indian activist, Kirtee Shah has an extensive history working internationally to improve the conditions of slums and the poor. 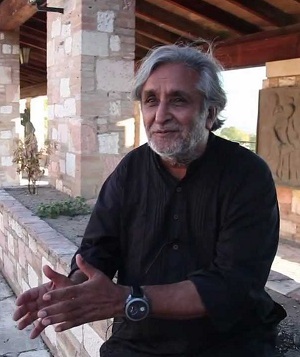 Over the years, Shah has served as the president of Habitat Forum in India, been a member of the Asian Coalition of Housing Rights (ACHR) in Thailand and CityNet in Japan, consulted with UNICEF, and helped found HOLSAA—Home Losers’ Service Association in Ahmedabad—which helped families following the Gujarat earthquake. To discuss his work and explore how urbanization is affecting India, TheCityFix sat down with Shah for an interview. By 2030, India’s cities are projected to be home to another 250 million people. 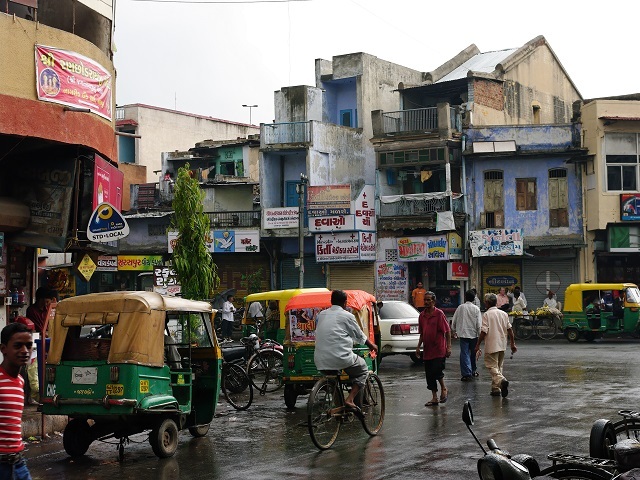 What are some of the ways that India’s experience with urbanization is different from other regions? Kirtee Shah – I believe that managing urbanization and city development is one of the most difficult development challenges facing India. If we as the government and the society—and mark that I do not think it is the task of the government alone—fail to measure up to the demands of the challenge, our ambition for near-double digit growth and ensuring our 1.2 billion plus people a reasonable quality of life will suffer a setback. We just cannot afford to fail in this task. And though I hate pointing it out, and though programs like JNNURM, Smart Cities, Amrut, Housing for All by 2022, etc. promise a lot, it must be admitted that on the urban front, the country’s performance has been less than inspiring. And that is not new. When the then Prime Minister, Rajiv Gandhi, set up the National Commission on Urbanization in the mid ‘80s— I was privileged to be a part—the rationale was that if the cities were the country’s future, we were mismanaging them. And we need not go far in search of glaring non-performance. The case of three national “capitals” tell the story. 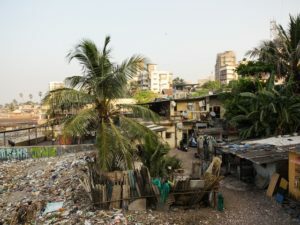 India’s ‘wealth capital’, Mumbai, has half of its 16 million inhabitants in slums; wealth, glamour and filth live side by side there. Delhi, the country’s ‘political capital’ suffers from air quality problems: such that a leading newspaper recently declared it unsafe to live. Varanasi, the country’s ‘spiritual capital’, has its most revered national river so polluted that it has merited a special task force by the government and a substantial amount of resources for its cleaning. Symbolic as these failure and problems are, they do point to a worrying reality. I think that India’s urban challenge—in fact, South Asia’s urban challenge–is quite different than what we have known and handled, and therefore needs an indigenous, from its backyard so to speak, response. The emphasis on the local, “indigenous” is a reaction to the ‘westward’ (or “western” looking) tilt we have had in search of solutions, inspiration, images, ideas and models in designing, planning and managing our cities. Though symbolic, it is symptomatic of our attitude that we needed Le Corbusier to design and plan Chandigarh, the new capital city of Punjab, immediately after independence. He was a genius, but not necessarily equipped to design a “people’s” city—and now Amravati, the new capital city of Andhra Pradesh, gets designed in Singapore, by Singapore based designers and in the image of Singapore. Let me add that in the globalized world there is nothing wrong in seeking ideas, inspiration and expertise from outside. But both opportunities, rather rare as one does not get to build a new city often, needed an indigenous gesture—a local statement. Building a new city is nothing less than a statement on people’s aspirations and the society’s benchmark on where it stands. Our urban challenge is different whichever way one sees it. Look at the numbers first. Adding 250 million people, in the coming decade and a half, to the urban population that you mention works out to be 30 people a minute, a staggering prospect. The rural reality is not marginal either. 620,000 villages and 850 million people in the villages cannot be ignored by pointing to the ‘inevitability’ of urbanization. It demands questioning that ‘inevitability’. With the rural sector containing 350 million people below or near the poverty line, and contributing 1.5 percent to the country’s overall growth of 7.5 percent, it calls for a different response. And the traditional hostility to the vibrant informal sector—the largest producer of shelter in the Indian cities are the slum dwellers—demands a rethink if some 70 or 80 million urban slum dwellers are to be given an acceptable, livable physical environment. Among other things it would call for a different mindset and perspective—not Mumbai as a Shanghai model or metaphor, but Mumbai as a better Mumbai, an inclusive Mumbai framework. We need to rethink our strategies, approaches and images. Photo below by Matt B/Flickr. How is urbanization affecting affordable housing in the country? KS – The urban housing stress has many components and aspects. With rapid population growth in cities, especially within the metropolitan and other large sized cities, the new requirements far outstrip the formal supply. Low incomes and high and quickly escalating land prices make housing beyond the means of a majority of the city dwellers. Institutional constraints—from highly constrained land delivery, to higher interest housing finance, to unimaginable regulatory practices, to a disproportionately long, time consuming and corruption-infested approval system—slow the supply rate of formal housing. The formal real estate players with limited supply capacity confine themselves to the upper end housing with a focus on the higher profit margins, while keeping an eye on investor finance. Poor maintenance and poor quality housing stock also leads to high redundancy rate. Vacancy rate of housing in the major cities on account of legal provision such as the Rent Control Act is high, often touching double digit percentage (in Ahmedabad it is placed at 12 percent). Rental housing has almost disappeared from the market. A combination of unimaginative planning, an infrastructure deficit, and mechanizations of the powerful land mafia and lobbies do not allow even city periphery lands to become affordable. Further, government incentives to promote affordable housing seldom reach the intended market players or targeted beneficiaries. And public housing, despite good intentions and big claims, has never gone beyond symbolic gestures and tokenism. Affordable housing, with big advertisements proclaiming houses costing over a crore of rupees—10 million—as affordable has become a cruel joke. However, the new Housing for All by 2022 program by the government appears a bold and an ambitious undertaking in the context of these unfavorable structural and institutional factors and constraints. The fact remains that despite policies, programs and oft repeated intentions and announcements, affordable housing in Indian cities remains quite illusionary. The housing stress is real and a difficult challenge. It is in that context that one needs to mention the Cities Without Slums initiative of the previous government, which used the property rights of the slum dwellers as a strategy and citywide upgrading as an intervention. With escalating urban land prices and low income of a majority of the home seekers, state intervention in land supply in some creative form appears necessary, if not inescapable. That, among other things, requires a re-imagining of the city. The idea is not to give up the grand dream of the transformed city, but to settle for a transitional phase of about three decades. The political decision makers, urban planners, city authorities and the privileged class need to understand the structural changes in the national economy and the powerful push and the pull factors of urbanization. Urban slums are an inescapable reality of this transition phase. The slum dwellers, not all poor, are not asking for formal housing, they are seeking security of tenure, a sense of permanence in their place of living, removal of the stigma of illegality, access to reasonable infrastructure and social services and some space to conduct their business and render services. They are asking for a better and more livable physical environment, and a less hostile social environment; they seek water, sewage, legal electricity and schools, and not formal housing, as that, they seem to say, they would manage. The cities should help the slum dwellers to settle down, allow them to improve their productivity, income and health, educate their children, help them to become part of the mainstream and recognize them as an integral part of the city and equal citizens. Even if it sounds simplistic, housing will take care of itself. You were a Chairman of HOLSAA—Home Losers’ Service Association in Ahmedabad—following the Gujarat Earthquake. What did you learn from that experience in city management? KS – When the earthquake struck Gujarat in 2001, the bulk of the damage was in the villages—over 900—besides five or six cities and towns. 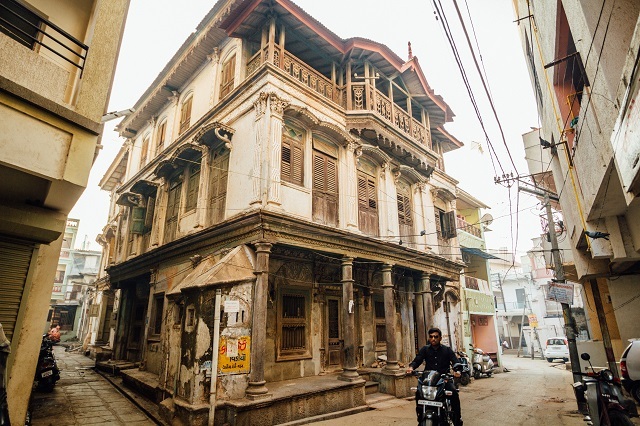 Ahmedabad, a city of over 6 million, where I live and work, was one of them. For obvious reasons the priority of the government and other disaster relief agencies were the villages. Taking that scenario in consideration, we developed an innovative strategy for Ahmedabad city and organized the families whose properties were destroyed or damaged, in an association called HOLSAA, to present their case jointly and work together to address problems. Though the response was lukewarm initially, almost all families joined subsequently, seeing the potential and the benefits of the collective. The association also included agencies and individuals interested in and equipped to provide support services: from civil engineers to architects to bankers to doctors. The idea worked well. Accessing government and other agencies—be that for damage assessment or insurance claim or immediate cash compensation—became relatively easy. More importantly, as they were organized and presented a collective voice, they were heard and could get things done. Though it was not the first time that I had worked closely with the disaster victims, HOLSAA was a special experience for me. One, it was an urban situation, different from the rural one had handled earlier, and more complex in every conceivable way. Two, as it was a multi-agency platform, coordination needed greater give and take and accommodation. Three, fears, concerns and anxieties of the disaster-hit families needed patience and understanding while dealing with their expectations and demands. Four, problems were many—a colleague used to say that anything less than three major problems in a family and we should consider ourselves fortunate—and solutions were not easy. Five, though everyone saw the benefits of the collective, keeping them together was not always easy, as perceptions, expectations and self interests varied vastly. And six, though HOLSAA did not provide any financial assistance to anyone directly, the members appreciated the effort and expressed their gratitude. It is hard to say if the final outcome would have been any different had HOLSAA not been created. However, for those who worked and gave their time and energy voluntarily, it was quite a fulfilling experience personally and professionally.